Disney International Parks: Disneyland Paris Haaaaa...lloween! Share a hoooooot of a fun time! On October 31st, your favourite attractions will stay open extra late: from 8:30pm to 1am! So fill up on out-of-this-world thrills and chills by the pale moonlight, boogie to the beat of the spellbinding Shows, the night-time Parade and the Sound & Light spectacular! Get ready for a Ha-ha-happier Halloween! Enjoy the killer surprises for the whole family! October 8th, 15th, 22nd and 26th from 8pm to 11pm, rendezvous at Fantasyland and Frontierland for a Halloween that's beyond your wildest dreams! 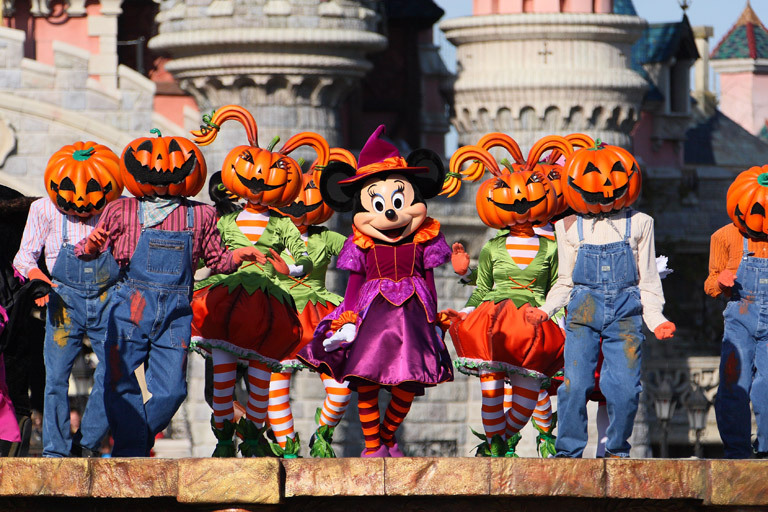 Big and little monsters will dig the surprises Mickey and his friends are brewing for this year's trick-or-treat season. An unforgettable time awaits you, so dare double dare! A terribly amusing show! 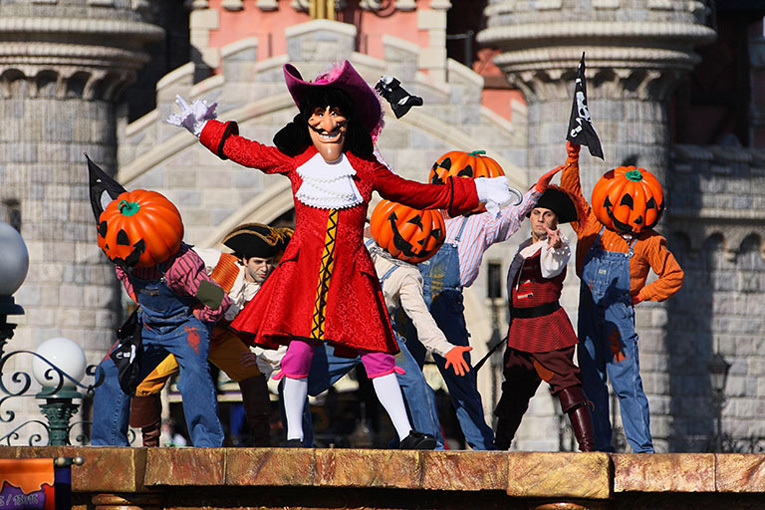 Don't miss the awesome entertainment by the nastiest villains in town right in front of Sleeping Beauty's Castle. They've cooked up devilishly divine song and dance numbers to knock you off your feet! Let yourself get wrapped up in the Haaaaa...lloween mood while having a hoot with the spookytime stars! An incrHEADible transformation! 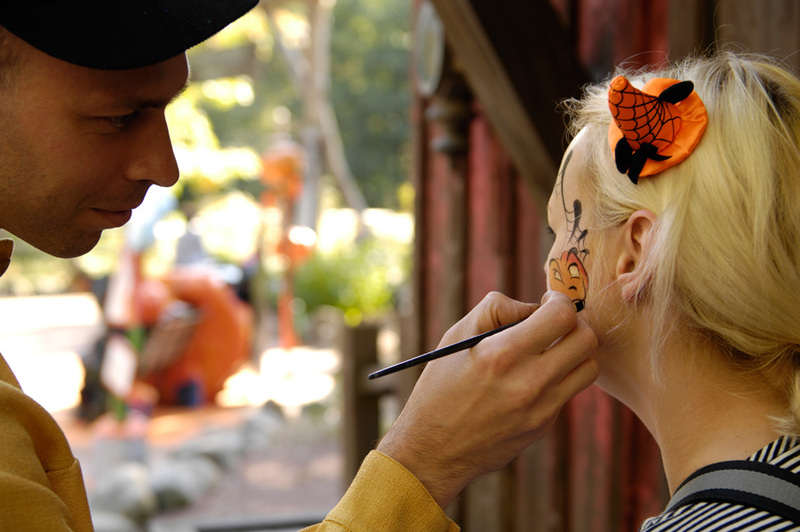 For Disney's Halloween Festival, Frontierland is dressing up in complete orange and sporting the name of Halloweenland! Play trick or treat with the playful Pumpkin Men, snap a shot of Chip n Dale, Donald or Goofy in their Haaaaa-loween costumes. Frollo, Hook, Jafar and many other villains eeeee-gerly await you at Phantom Manor. Beware: ghostly chills n thrill in store! Discover this land as never before! 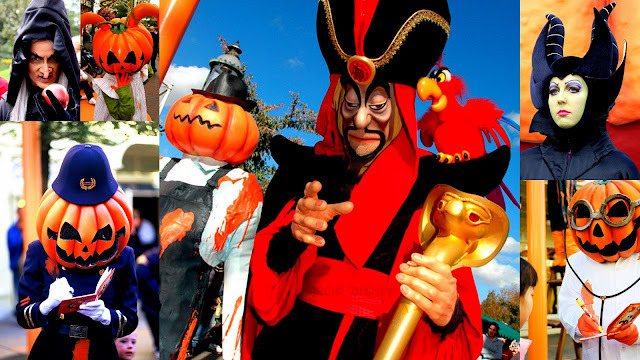 Pumpkins round every corner, your favourite Characters dressed up like ghost and devils and scarecrows too… this Halloween, Fantasyland is wearin' the orange to bring you extra thrilling memories! And the little ones will be just as delighted as the grown ups! 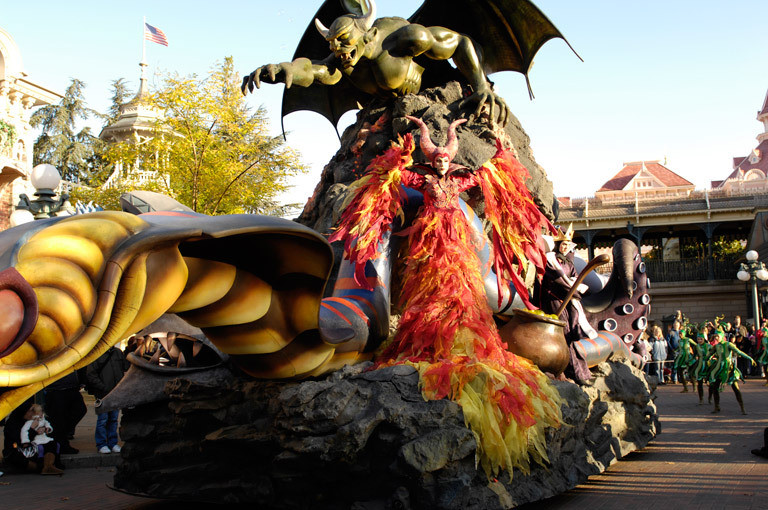 With the Dreams of Trick or Treat Parade, join The Pumpkin Men and Ladies, Jack and Sally in their ghostly carriage and Cruella De Vil in her horrifying ride! The highlight: Dr Facilier will try to cast a voodoo spell on you from his swampy fantomobile! Can you resist the dark magic of it all? 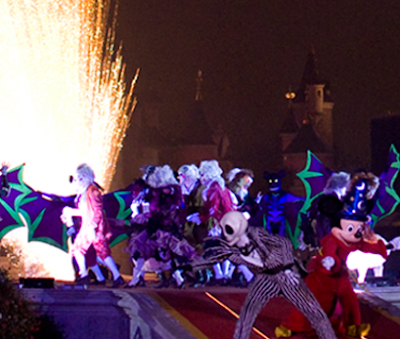 One thing's for sure: the show is sure to be hauntingly funtastic! Click Here to see a post with CD Singles from Disneyland Paris at the Authentic Disney Parks Merchandise blog! Click Here to read the part II of the Halloween Special at the Disney International Parks Blog! 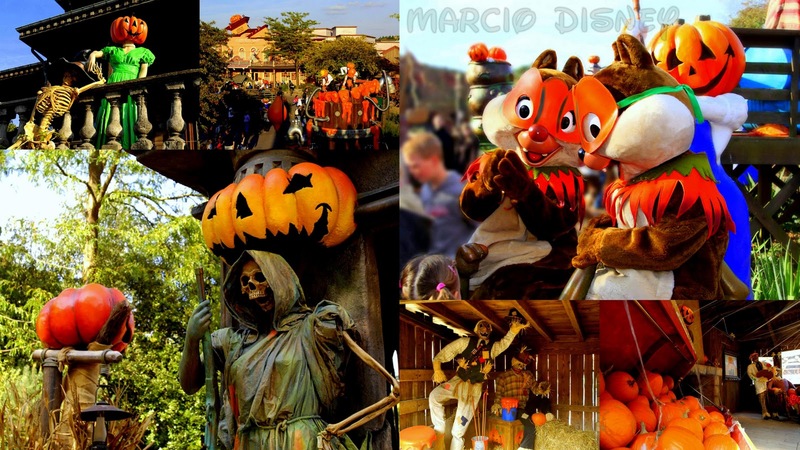 Click Here to see the special page with Halloween Pics at the Magic Kingdom from Disney's Dream Makers site! Labels: "Disneyland Paris" Halloween Mickey Party "Not so Scary" Fantasyland Frontierland Fireworks Monsters Surprises Magic Parade Commercial "TV ad" Show Teaser Trailer "Halloween party"